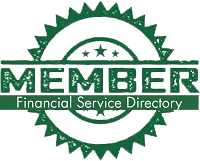 American IRA is a National Provider of Self-Directed IRAs with over $250 million in assets under administration. They build their business by helping their clients stay well informed and by offering free education to both the beginner and the seasoned investor. This announcement covers the Fair Market Valuation requirement of Self-Directed IRAs which are due after the end of the year. Most custodians/administrators request them in the 1st quarter of the new year in order to be able to provide them to the IRS by the May deadline. American IRA has been a National Provider of Self-Directed IRAs since 2004 and has experienced such an increase in demand for Self-Directed IRAs that they have doubled their staff over the last 2 years in order to meet the needs of their ever increasing client base. American IRA announces that the Fair Market Valuations are due after the end of the year. Most custodians/administrators request them in the 1st quarter of the new year in order to be able to provide them to the IRS by the May deadline. With traditional stocks, fair market valuations are not necessary because the market evaluations are done on a daily basis and publicly reported. In contrast, most assets held within a self-directed IRA are non-traditional assets and, since the values of these assets change depending on many factors, a yearly outside evaluation is required by the IRS. It is important to note here that utilization of tax value is generally not accepted by most custodians/administrators. For American IRA clients that means a qualified independent third party should perform the valuation and then complete both sections of the Fair Market Valuation Form, including their signature. When providing an asset’s current value, please provide all supporting documentation to substantiate the value. Please be advised that this valuation / appraisal will be used for reporting purposes to the Internal Revenue Service and that any false or misleading valuation / appraisal of any assets may result in penalties and or fines assessed to the account holder(s). **Documentation-Please include supporting documentation with regards to this valuation/appraisal. Real Estate: Broker’s Opinion of Value or Appraisal. We can not use tax values. LLC: Valuation needs to be completed by the manager of the LLC. Promissory Note: Secured or Unsecured. Can be valued at the current principle balance. Gold, Charles Schwab Accounts, and Fidelity Accounts: Can be valued at market value. 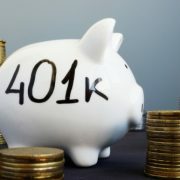 If you have any questions about this or about self-directed IRAs, please contact our knowledgeable staff.